Get inspired with real-life examples of brands seeing amazing results with Movable Ink. Check out our in-depth guides and playbooks designed to level-up your digital marketing strategy. Watch our webinars for a detailed look at intelligent creative in action. Each season, we highlight campaigns with the best visual experiences in our lookbook: Inkredible 5. Discover digital marketing insights in our original research and consumer trend reports. From checklists to tactical tips, we have infographics for every need. With over 200 communication types and 22 million email sends annually, Virgin Holidays was looking for a way to supercharge their email marketing quickly, without having to make any infrastructure changes — and they turned to Movable Ink and Phrasee to help make that happen. 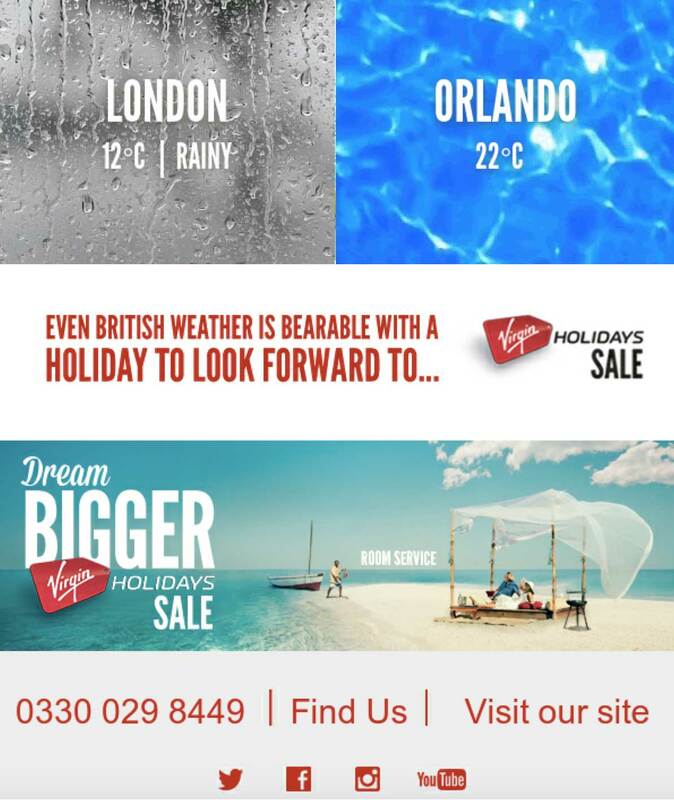 Virgin Holidays uses Movable Ink to leverage real-time data in all communication types – including transactional emails and booking confirmations. They elevated their email experiences with content that was personalized at the moment of open using CRM data and API feeds coupled with holiday deals to create a sense of urgency. Our most successful emails with intelligent creative perform 50-100% better in terms of engagement. Want to See Our Platform in Action? Get more best practices, case studies, and industry news sent directly to your inbox. Sign up for our newsletter. Copyright ©2010-2019 Movable Ink, New York City, New York, USA. All rights reserved.